On 27-30th of January, International Dental Conference “Dentistry and Dental Practice” was organized by International Scientific Organization “EuroeSciCon” in Spain, Barcelona. 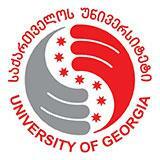 Representatives of the University of Georgia introduced to the representatives of international academic society initial results of the research conducted within Dentistry Department and academic training level of the staff of the department. Chairperson and Co-Chairperson of the conference were Mrs. Ketevan Nanobashvili and Mrs. Maka Sabashvili. Also moderator of the conference was student of School of Health Sceinces- Ahmaad Foaz Ahmaad Alshbour.